On Prabhupada’s disappearance day, so many thoughts, remembrances, and feelings are washing over me. Looking back at my spiritual foundation and roots; reassessing my present consciousness, and looking toward my highest spiritual ideal. I think of my whole life, and how, as a dissatisfied youth (even though I have shared this many times here, it expresses how I was upliftend from what appeared to be almost a non-exisitence--we have to always remember where we were before we took up the path of bhakti), I was driven to a spiritual search. There was no evidence of any inkling of this tendency as a child and teenager. 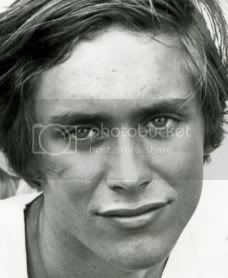 In retrospect, my life was rather blah, but I had no frame of reference at that time to really see it in perspective, and yet at a certain point, in conjunction with the youth movement of the 60’s which impelled me to drop out of the status quo, I felt adrift in a vast impersonal ocean. This was Krishna’s arrangement to facilitate the reawakening of my previous life’s unfinished spiritual journey. Before this time my life seemed pointless and shallow. Looking ahead at my potential, I couldn’t imagine going forward without any real meaning in life. I was acutely aware of something missing—and it wasn’t small, but major, foundational, the basis for my existence. Nature seemed the only thing that made sense, and I saw that modern culture and its people were divorced from what I saw as their roots in the natural world of forests, stars, sun, moon, and the seasons—manifestations of the Sustaining principle in the Universe. This was something I had never considered before as I went through the motions of growing up, and now, by some force of destiny, I felt adrift in vast sea of pointlessness. I began looking for a compass to find my bearings. After finding shelter in the Natural world, I also unplugged from the modern civilization and its educational system, which seemed bent on its own destruction, through blind and mad material pursuits. In that peaceful environment I now had time and the motivation to think, for really the first time, about the purpose of life and my place in the scheme of things. After become a vegetarian and giving away most of my possessions, I found light and energy in many of the world’s holy books. Simple living, high thinking. I considered I needed to be a monk in some spiritual tradition to better immerse myself in getting closer to the Soul of the Universe. In my search, I came across Prabhupada’s disciples and through them, Prabhupada himself. 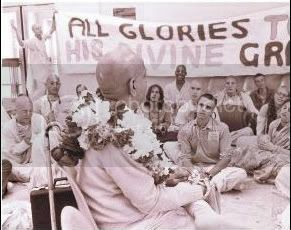 I, like many of his disciples, was practically on the verge of death feeling so bereft of some missing piece of myself, and in that anxious mood, I found Prabhupada and the boat of Shri Chaitanya’s San-kirtan movement. 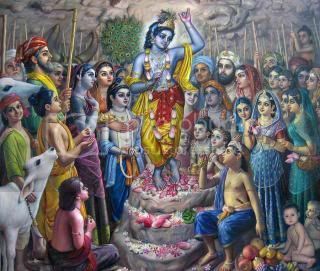 Thinking of not meeting his devotees, reading his books, performing devotional service, or chanting the holy name—all an extension of his mercy—is unimaginable. It was seven years that Prabhupada was with me, and although those years seem like decades in my then perception of time, I see them now as a flash. The disappearance of the Guru can be a severe examination to be passed through on the road to Krishna. What had we realized? Now that we couldn’t be dependent on his physical presence to enliven us, could we be enthused by the process and teachings he left us? We could not go on without applying what we learned from him. In his absence, would we sink or swim, or get a speed boat for crossing the material ocean? These were difficult times, and many didn’t fare well. I could have easily perished, but by some causeless mercy, the holy name stayed with me, and I regained my spiritual footing. I was able to recover from my wounds, from my childhood, and from the turmoil of the Krishna movement in the absence of Prabhupada. I worked on my emotional issues and tried to become a balanced human being in the service of the soul’s interest. Gradually I passed through my dark night of the soul. Meeting my wife and being encouraged in her positive association, I was able to revive my spiritual practices and gain a favorable attitude toward life, devotees, bhakti, and the organization of my guru. After a trip to India in 2001 our life was transformed by further spiritual blessings in the form of Shilas (sacred stones), spiritual interest, and a major Shiksha, or instructing Guru. I see this all as Prabhupada’s mercy upon me. 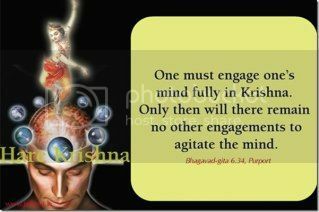 Since I didn’t give up, but kept trying, however feebly, Krishna arranged for my continual progress on the path of bhakti. Though I am far from where I think I should be spiritually, I see encouraging signs that give me hope and happiness at my spiritual prospect. To me, a big art of our spiritual advancement is realized by giving back to our Godbrothers and Sisters, and the next generation of devotees. Thus, we advance by our service attitude, which is manifest by serving and helping the devotees in their need, and thirst for spiritual and material shelter. We can give what we are, so I feel the inspiration to be a good example (though I am mediocre, I pray to rise up), and in the attempt to love Krishna and my gurus, to share that love with everyone. Truly love is the answer, and we are best able to offer love and encouragement by our developed spiritual attitude and feelings. Spiritual truth shared in kindness, affection, and understanding is essential, and is the meaning of devotee association. There are so many more things to say, but I am out of words for a blog. I am indebted to Shrila Prabhupada for all the things I am about, all the things I do, and aspire for. 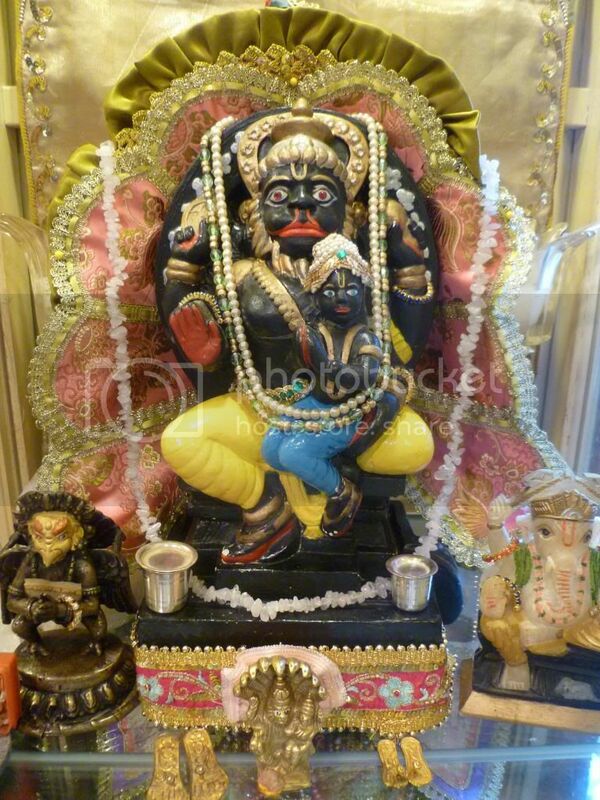 And he has sent me many devotees to encourage me, along with the readers of my blogs and books. Thank you everyone. May we all go deeper into loving and serving Krishna and His dear devotees.